Stacy M. Brown | 9/25/2015, 6 a.m.
BALTIMORE  The Green Street Academy building is as important to West Baltimore today, as the ground it stands on was decades ago. The official grand opening of the six to twelfth grade charter school located in the formerly vacant Gwynns Falls Junior High School was held on Monday, September 21, 2015. Green Street Academy students show off produce made possible through the urban agriculture component of the charter school’s curriculum. The ceremony brought out a host of students, teachers and local officials including Democratic Representative Elijah Cummings who attended the historic former Gwynns Falls Park Junior High, who delivered the keynote address. The building is an actualization of the vision of this school— to be a driver of environmental and more importantly economic, sustainability in the community, according to Green Street Academy’s Executive Director, Dan Schochor. Schochor and others successfully combined loans and donations, including a $14 million loan from Bank of America and a $2 million loan from the Reinvestment Fund, which develops projects, to renovate the building that will eventually accommodate 875 students from grades six to 12. 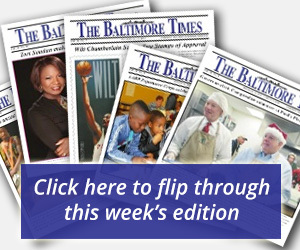 The need for more STEM labs, humanities classrooms, food service and athletic space, coupled with a desire to create a signature presence in the West Baltimore area, resulted in the former Gwynns Falls Park Junior High School being chosen as the new site of Green Street Academy, school officials noted. “The school to this point has held an incredibly important place in community,” Schochor said. “Before we moved here we were located sort of on the outskirts of where our students were coming from, not in the epicenter. “We do know that West Baltimore needs access to high quality education. They need access to economics, healthy food and those are key components to being healthy and prepared,” he said. Green Street Academy features a sustainability-focused curriculum that includes growing vegetables, chicken coops and tilapia farms. Advanced technology, energy, construction, agriculture, healthcare and entrepreneurship are subjects touted at the school. The school also boasts a virtual Reality Labs that will take students through active construction sites and partnerships with the United States Department of Forestry and the University of Maryland Medical School to provide students with competitive internship experiences and industry certifications. 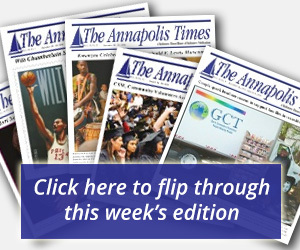 The Academy’s opening is a welcome break from the pattern of divestment from the once middle-class St. Joseph’s neighborhood in West Baltimore where the median income of the neighborhood is now $36,000 [annually] and nearly half of the residents don’t have high school diplomas, according to a news release. The Academy believes that its commitment to educating not only students, but parents and residents of the community, will be a integral element in supporting an upward mobility and economic sustainability for the entire St. Joseph’s neighborhood. “We plan to offer certification and internship programs that will give out students a leg up, preparing whether they go to college or enter a career,” Schochor said.